OK, we may as well start out with a wee confession: I’m a little bit intimidated by this new blog. Despite having written over 1,000 blog posts on my previous blog, to the point where I could write posts in my sleep, this slope here feels just a tad slippery. Maybe it’s the subject matter. 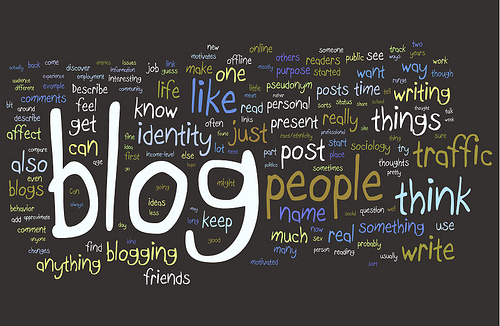 Or maybe it’s the whole idea of finding my place in the new world order of blogging. See, the concept of BLOG has changed a lot since I started out back in the day (October 2004, to be exact). I’m sure you’ve noticed it – that is, if you’re the kind of person who pays attention to blogs at all. Back then, it was all the rage to have a blog, and to form little circles with like-minded people who read your blog as you read theirs, and you all supported each other and *sigh* it was all just so cozy. Well, apart for the fact that it could sometimes feel a little bit like high school, where some people in the circle were the cool kids and only answered comments from each other, whereas other – less popular – participants were pointedly ignored. But I digress. In those days, having ads on your blog or asking for donations or anything that might somehow constitute remuneration for the time and work you put into it, was considered to be a complete and utter sacrilege. Oh, how well I remember those catty, bitchy posts denouncing anyone who dared to accept money for what they were doing. I swear there would have been less judgement attached to being a streetwalker. Not that I was asking for money in those days, mind you. Goodness, no. In those days, bloggers (the “ethical” kind, i.e. those who did not ask for money) would bend down and kiss the feet of anyone who took the trouble to stop by and read their humble offerings. Myself included. I’m not sure exactly when the shift happened. Possibly when people started comprehending that maintaining a quality blog with any sort of regularity was a helluva lot of work. First a few fell off the map here and there. Others hung in, but posted less frequently. And then, before you could say ‘Twitter’ they were all gone. I think I held out the longest of anyone who was in my little circle at the outset. Mind you, there were some extenuating circumstances: my country’s economy melted down, and I started documenting it on the blog because I needed to write about it just to stay sane. That was also when my blogging activities went into overdrive, and I realized that the actual writing of the content was the least time-consuming part of the process – the real work lay in all the subsidiary stuff, such as monitoring comments (… and weeding out the a**holes and hecklers, as well as agonizing over whether they should be permanently blacklisted, their comment weeded out just this once, whether you should send them a warning, or not, whether you were being fair, or not, and so on and so forth), responding to myriad enquiries, giving interviews to the press, setting up and monitoring forums, tweaking the layout, installing plugins, formatting pictures, and in the end working to try to generate some kind of revenue, because there was no way to sustain things as they were. That part was almost entirely unsuccessful, because everyone knows that trying to earn a living as a blogger is pretty much a lost cause. In other words, it seems to me that blogging today is less about the joy of writing and having your stuff read, and all about SEO, email lists, calls-to-action, traffic, squeeze pages, theme frameworks, building products, monetizing, guest posting, conversion rates, and myriad other buzzwords that define the blog milieu today. I’m not saying this is wrong. In fact, I don’t presume to judge it at all. In fact, I kind of think it was inevitable, since the other model, on a large scale, at least, was unsustainable. But even so, it is sometimes hard not to feel nostalgic about the old days. And yet, I must reflect that my place within that framework did not stay static, but shifted and changed, becoming more and more familiar over time. No doubt it will be the same this time around.